Usability is a prerequisite for an online store to achieve its full potential. If people cannot shop, or are unwilling to go through a seemingly unsecured and long order process then the site is useless. It doesn’t matter how inexpensive the products are if visitors can’t find them or if they get stuck on a step in the ordering process. After deciding what to purchase, the buyer’s next goal is to complete the buying as quickly as possible, and the website’s job is to hasten and streamline this process as effectively as possible. Let’s take a look at some of the best usability practices that a few of the most popular online stores exercise. First we will study practices that apply to e-commerce site usability and then we take a look at usability tricks for e-commerce specific elements such as shopping carts and online ordering. Usually people have much fewer e-mail accounts than random usernames and they tend to remember them more easily. Also, we know that emails are always unique so they make a perfect candidate to replace usernames. Buy.com uses this practice among many other e-commerce giants. Navigating an online store and knowing at all times where you are as not to order something by mistake or lose your selections, can be tricky. Breadcrumbs are a great method to let the customer know at all times where he is on the site. 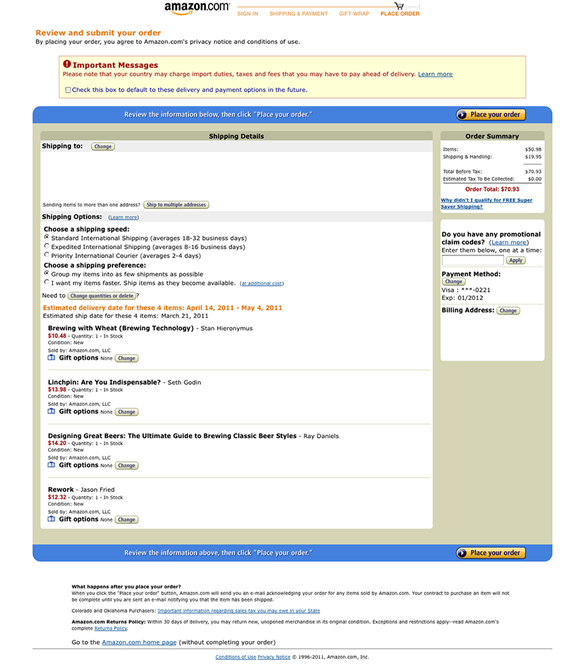 Amazon.com is the leading e-commerce site and a trendsetter in usability practices. They make great use of breadcrumbs. Posting contact information in visible places can go a long way in establishing credibility and providing a pleasant shopping experience. 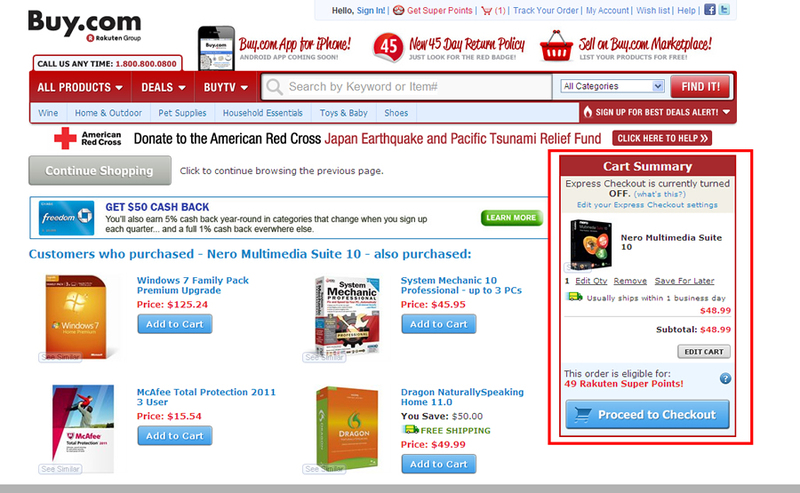 Customers will have problems and questions during the buying process and being there for them is a huge usability plus. The designers at JCPenney have taken full advantage of this usability approach. Customers need to find what they are looking for, and this is why many online stores try to keep the search field visible at all times. Also it doesn’t hurt to have a search that can be refined. GAP does a great job with their search function. 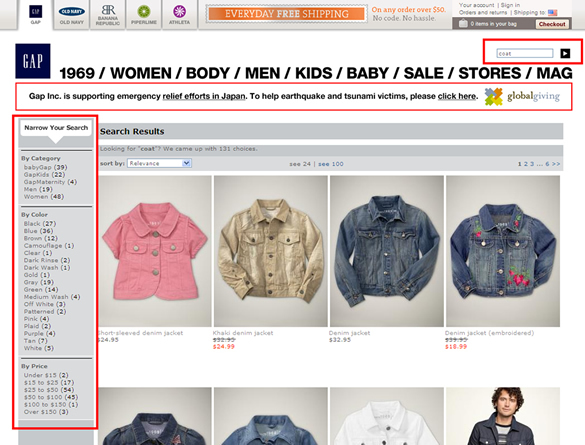 The goal of usability in e-commerce is to keep the shopping experience as pleasant and easy as possible. By showing recommended and related products online stores can significantly increase the user experience and more importantly sales. 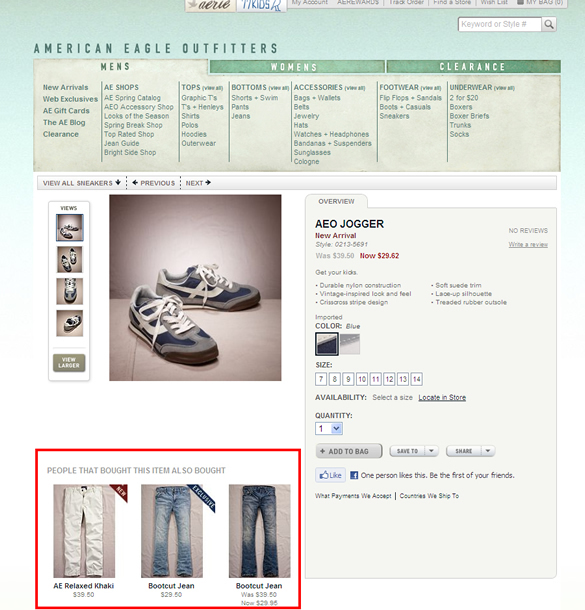 We can see American Eagle Outfitters use this strategy to great effect. An e-commerce site without sales is not going anywhere. Promotions, deals, and campaigns all help boost sales and what better way for them to draw customer attention than calls to action. 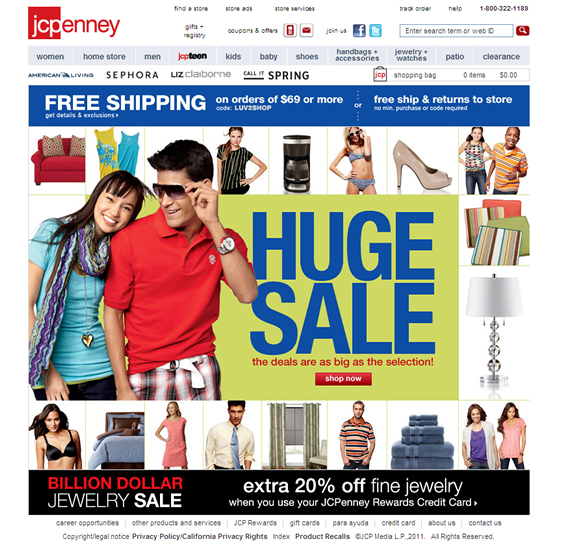 Calls to action don’t come much clearer than at JCPenney’s. Online shopping is still perceived as being unsafe. Online store owners are doing anything they can to demonstrate the security of their platform as best they can. Displaying security logos, badges is a great way of earning the customers’ trust. Best Buy clearly presents these badges in the footer. The order process can be a complicated step in buying online. Breaking up the process into smaller bites is a technique often used. Customers need to be able to feel secure when ordering. To dispel the fear of the customer to maybe order something they do not want too, many online stores make sure to show the customer where he is in the process. We can witness it best at Amazon.com. The order process is where most potential customers abandon the purchase. 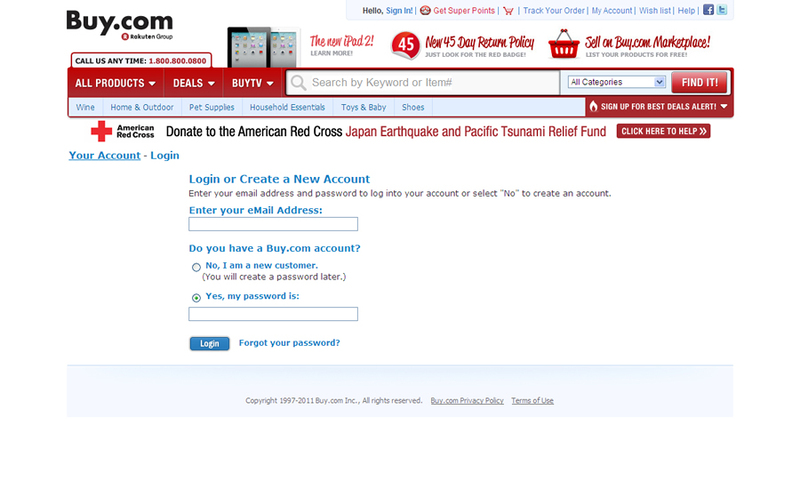 Online stores go to great lengths to ensure this happens as rarely as possible. One great technique is to use copy in the process that increases credibility and answers potential customer fears. 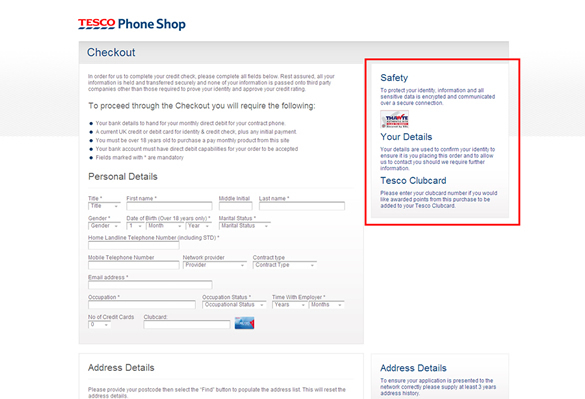 Another widely used usability practice is to have the cart and its contents visible at all times. This allows customers to be constantly in control of their purchases. Buy.com does a great job at this. Hidden fees constitute one of the main reason customers have a bad online shopping experience. 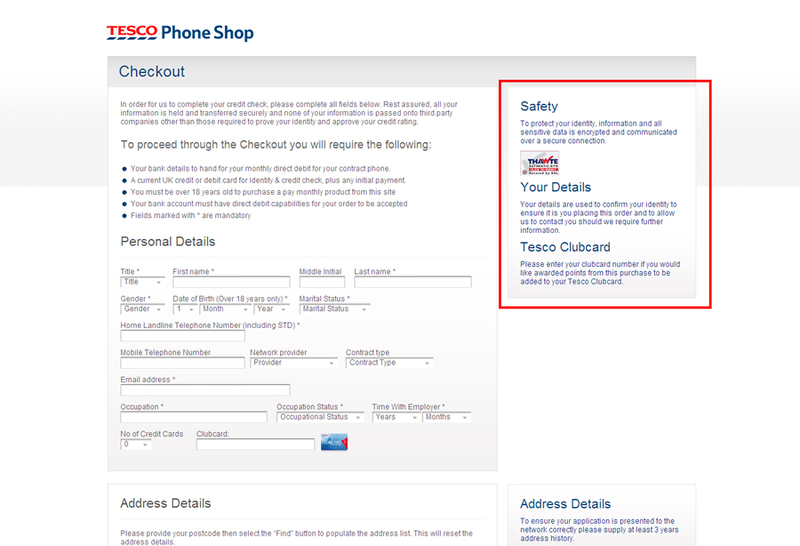 Having a transparent shopping cart is usability must. Dell.com makes sure to do this. 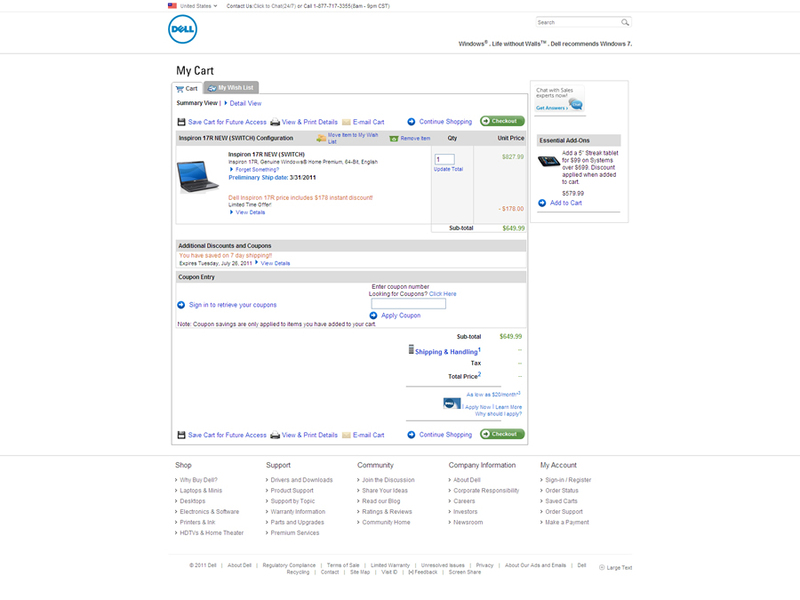 It is very important to have a confirmation page where customers can review their order before finalizing the purchase. Online shoppers have become accustomed to this usability feature so shops omitting this step in the order process are making a huge usability mistake. Again, Amazon.com is a prime example. Usability is crucial for e-commerce sites and since a happy customer will most likely return, making the experience as good as possible must be one of the main objectives for online stores. Finally, you will want to keep in mind that the current trend in application development requires graphic designers to be knowledgeable about secure code and protecting websites against the techniques used by hackers. Organizations, whose sites provide access to confidential information, are asked to complete audits, such as a SOC audit. These audits promote compliance with information security and control standards. Also, we must keep in mind that while adhering to usability guidelines and best practices is a must, every store is unique in their way. That is why constant usability testing and collecting customer feedback must be an ongoing activity for any e-commerce website. George is the founder of Primal Skill web development company. He has 8 years of experience in web design & development. Avid guest blogger and currently owns Server-Side Magazine, hosting articles strictly written in server-side programming languages such as PHP, Python, ASP.NET and Java. Some great tips George, thanks for sharing! Nice overview about getting the fundamental principles of e-commerce done properly. “breadcrumbs ease navigation” – Way back in 2000 when I was part of the team taking Best Buy online, we found they only did if they showed the actual route a visitor used to get to that particular page/item. But, there were many routes – search, external links, etc – where that wasn’t the case and then the breadcrumb wasn’t as meaningful and became confusing. Also, just because Amazon is a leading e-commerce site doesn’t mean they’re doing it right. There’s many things they do wrong (or get wrong and leave up) – Jared Spool gives a great talk dissecting Amazon and what they do wrong. Totally dispels the myth. If you ever get the chance to see him talk, I highly recommend it – He’s very entertaining. Surely part of the point with breadcrumb navigation on e-commerce sites is linking you back to categories you might be interested in? Even if I came to a site via Google looking at a specific product, I might be interested in looking at other products in the same category? I’d venture a guess that peoples understanding of breadcrumb navigation would have advanced a huge amount since 2000 as well, because the web has changed a huge amount since then. 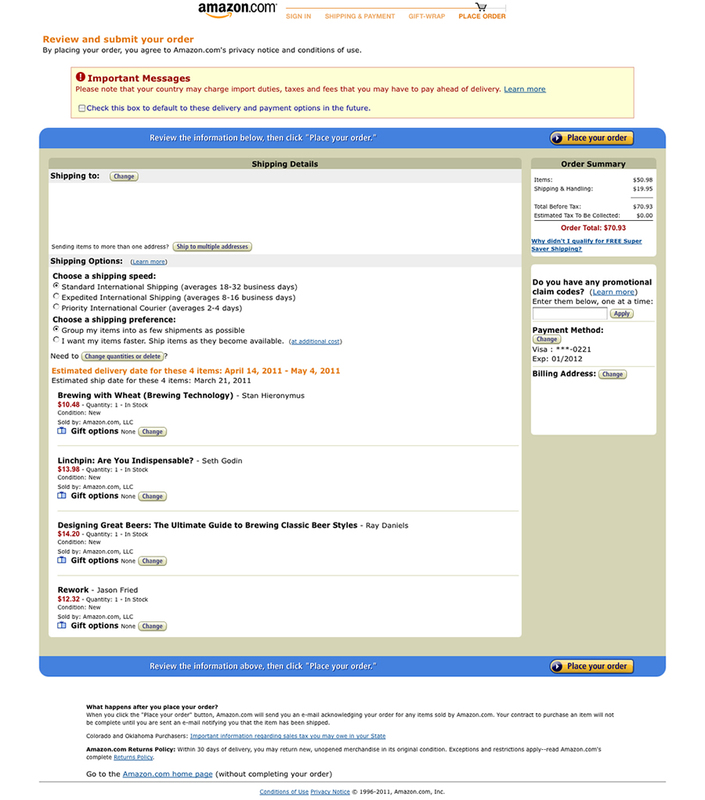 I agree about Jared Spool though; he always has some really insightful comments – UIE.com is a great site too. I also pretty much agree with most points, but I like being able to enter a username on sites for several reasons. 2) I own many of my own domains, and generally use a unique email address on any site I visit, for example: [email protected] – for me this is partly a security measure, and partly to sniff out spam. It’s pretty easy to figure out who’s sold you out in this way. 3) I personally like the OAauth/OpenID trend, so I can use a login on whichever site without compromising my accounts, or trusting security to some site I don’t know well. I really like the other examples, thanks very much for sharing. Great article George! Thanks for sharing. I came across a pretty neat shopping cart recently called (http://InstanteStore.com). They have similar features as what you’ve mentioned and I guess it’ up to the business owners to tweak how they want their online stores to look like. have a go at it if you’re free! Cheers!